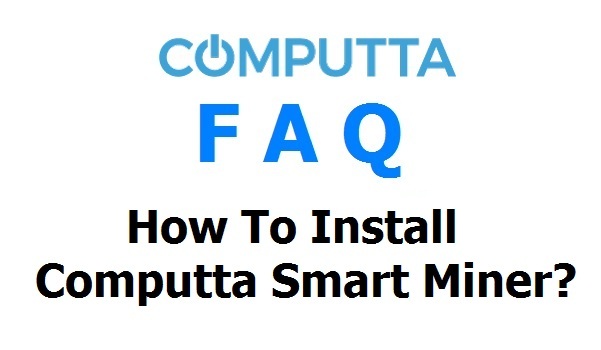 Installing Computta Smart Miner is very easy. After download and standard install, setup is actually only a two-click process. 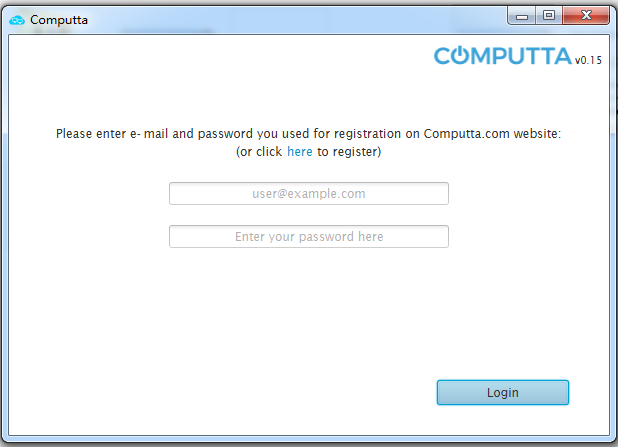 First off you must register to get a Member Account. Double-click on the downloaded Computta_windows-x64.exe to start the install and follow the install wizard to complete, will take 1 minute only. 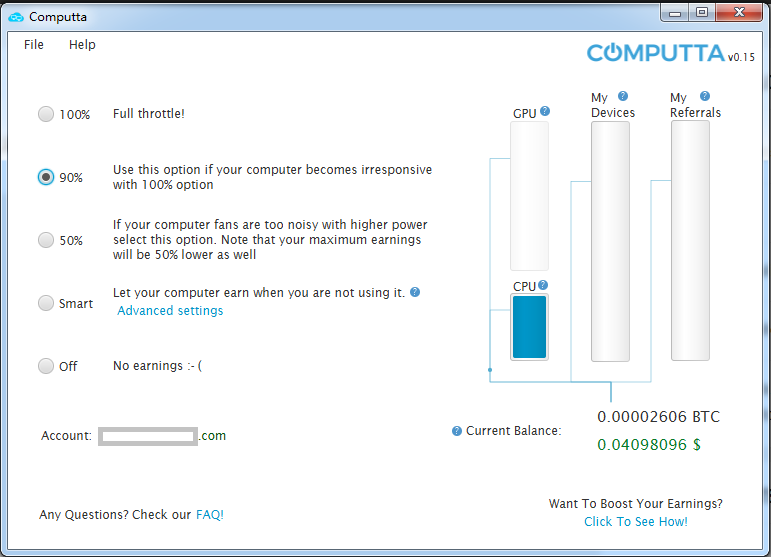 And this will take you to the Main Screen, you can set your preferences there or safely close it and it will silently sit in your Windows tray in the bottom right, generating you money while you work, play or sleep! 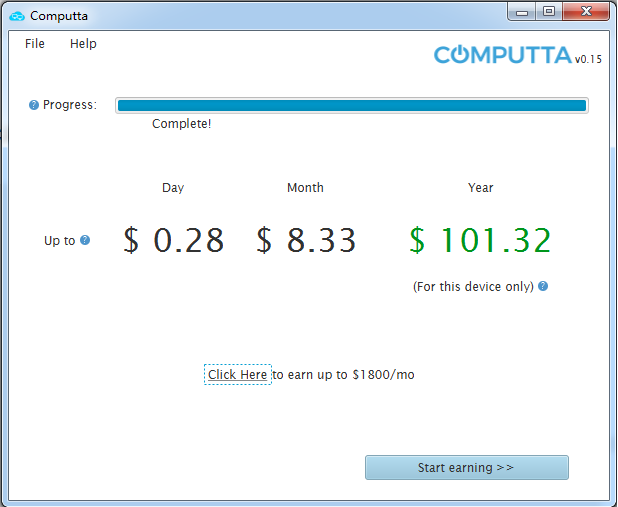 NOTE, after you install and start the Smart Miner app, it will be working in background and start with Windows start. You can see that it’s running by looking for it’s icon (little blue cloud) in the Windows tray in the bottom right of your screen. Clicking on the icon (little blue cloud) will open the Smart Miner main screen with options and stats as above. You can also open the app’s main screen from your Start menu, clicking on the Computta program name. 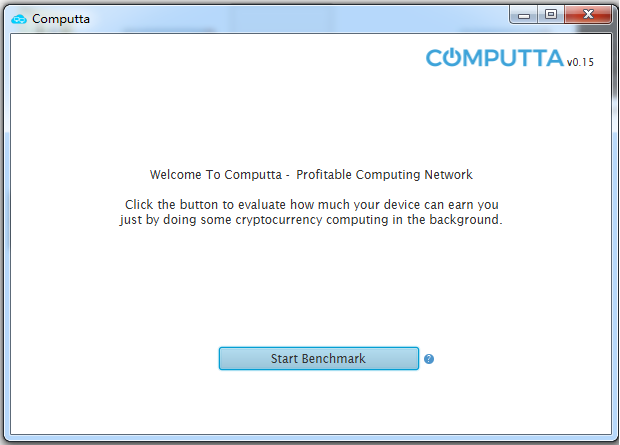 The whole setup process will take 5-8 minutes (mainly for estimating your computer’s processing power) and you will be ready to leave the Smart Miner app alone generating you money on complete autopilot. You can leave it there as it is in the Smart Mode, you can increase the power (and earnings!) when you’re not using your computer, and you can tweak the Smart Mode thru the Advanced Settings to suit your needs. 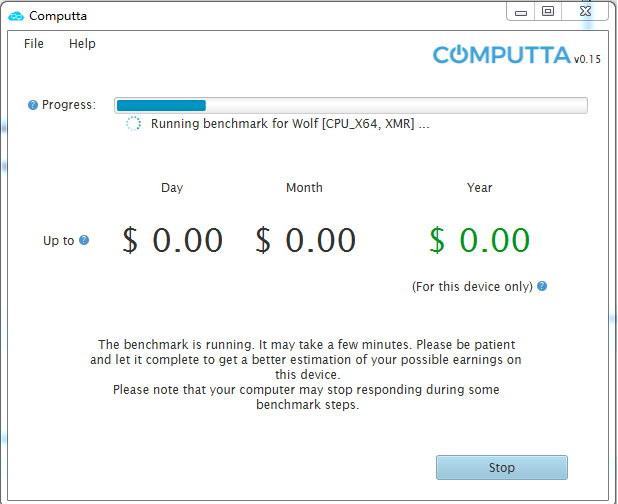 The bottom line is, download and install Computta Smart Miner app and your computer will be generating you money as long as it is power on. On Autopilot. 100% Free. No Catch!